By day, it's an elegant, frosted planter. At dusk, the show begins as it illuminates from within. Solar-powered; no outlet or extension cord needed. Just sun! Our solar panel is located inside the pot and gets plenty of sun to brightly light up at night. So unique, so beautiful. Choose between green, pink or white. 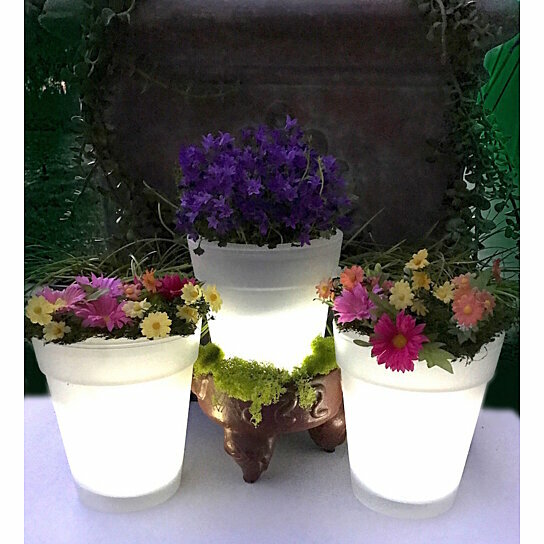 Our solar-powered garden pots are home to small plants and turn any dimly lit yard into a magical, luminous oasis!